We recently talked to Hobby via telephone from her Kingston, Tenn., home. You used to be a cosmetologist. Tell us about that. Yes, I used to own a salon in Tucumcari, N.M., where we did hair and nails. What made you decide to get involved in cosmetology again and attend nail school? My daughter, Fay Jago, decided to enroll and I decided I’d do it with her. It’s a good way to spend time together and I also like to keep myself busy. 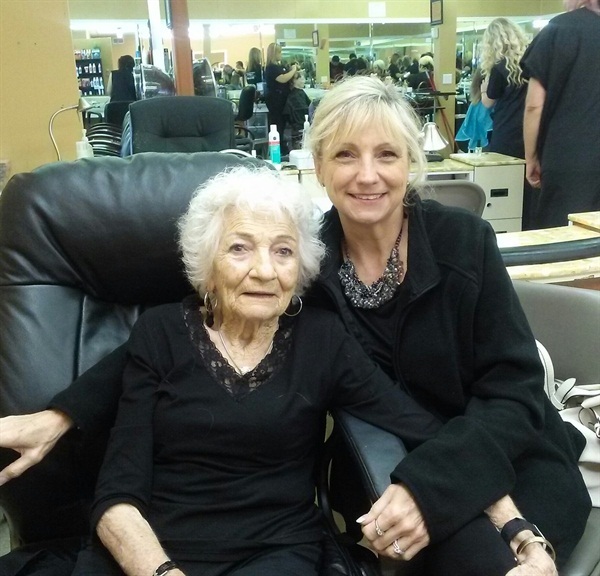 What does the rest of your family think about you attending nail school? They think it’s great. I have another daughter who’s a nail tech in Idaho, and another who’s an esthetician, so it runs in the family. What advantages, skills, and/or experiences do you have as a senior student? I’m determined to do it and I’m not bashful. I’m a people person. What challenges do you face as a senior student? It’s hard for me to remember the names of nail diseases when I’m taking the tests. What is your favorite part of the curriculum? I like doing nail art and creating new designs — lots of swirls and flowers. I’m not too good at it yet, but I try. Acrylics are challenging, but I just love gel-polish. What’s the most important thing you’re learning in nail school? I used to own cafes, so I know how important cleanliness and sanitation is, but I didn’t know how important sanitation is when doing nails until I started nail school. It’s the most important aspect of doing nails I’ve learned so far. When will you graduate and what are your plans after graduating? Our goal is to graduate in February 2015. Fay plans to retire from her nursing job, and we’re going to open a salon here in Kingston. There’s only one other shop here. What advice would you give to other seniors who might be interested in attending nail school? If they are up to it and have an interest in it, they should do it!